Recently discovered during a northern Italy university workshop on the Etruscans, several beekeeping artifacts, including 2,500-year-old seared honeycombs, were discovered by students. They also found remnants of a one-of-a-kind grapevine honey made by beekeepers who must have travelled via rivers to make it. “The importance of beekeeping in the ancient world is well known through an abundance of iconographic, literary, archaeometric, and ethnographic sources,” says Lorenzo Castellano, who is an archaeometry graduate student with New York University’s Study of the Ancient World Institute. 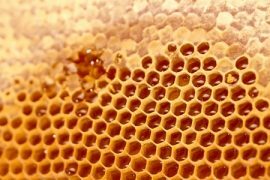 What makes this discovery about ancient beekeeping even more phenomenal is the fact honeycombs are rarely found at such sites due to how perishable they are. Along with his colleagues from the University of Milan, Castellano found the honeycombs, well-preserved bees, and several honeybee products dispersed on the ground of an Etruscan trade center workshop at an ancient site in Forcello. The team studied bee-breads (honey/pollen mixture), the charred honeycomb fragments, the honeybee remains, and material created by honeycombs which had melted and then clumped together. The fire that destroyed the Forcello site likely occurred between 510 and 495 BC, eventually being sealed by clay and built over. A chemical analysis of spores and pollen gathered from the Forcello site established a large presence of honey and beeswax in the room where the burned honeycombs were found. 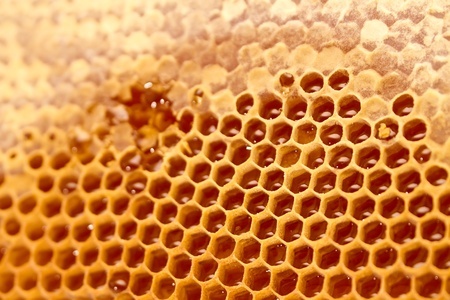 They also found grapevine pollen in their honeycomb and melted honey samples, further indicating a unique honey produced via early-domesticated grapevine varieties. By today’s standards, grapevine honey is unrelated to bee honey, as it’s a type of syrup made by boiling grape juice, making these analyses particularly revealing about beekeeping by the Etruscans. The pollen samples indicate that bees fed on plants from aquatic landscapes, such as grapevine and water lily, which were not known for growing in the Forcello area. This is how Castellano and his team concluded these Etruscan beekeepers must have collected honeybees along rivers while boating, bringing hives to places like the Forcello workshop to extract beeswax and honey.